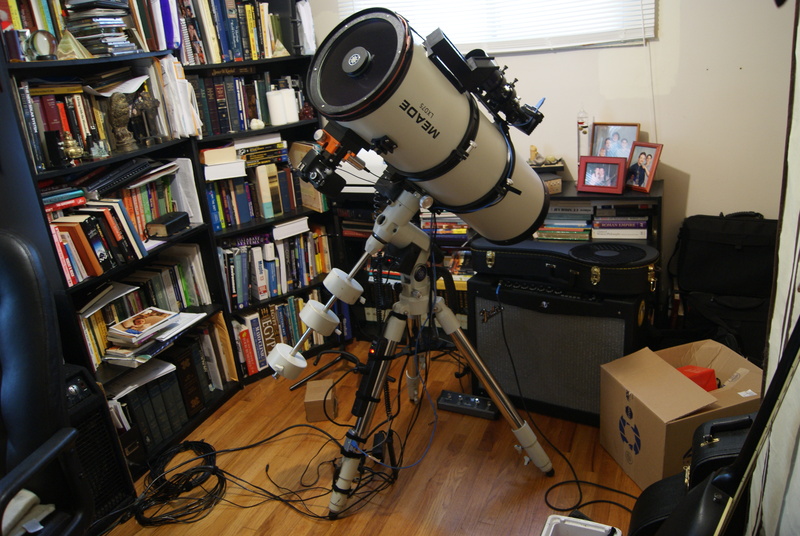 Steve’s personal astronomical equipment: telescopes, software, and computer equipment. A lot of additions were obtained from Scopestuff. Cannon DSLR prime focus. The main telescope is a newer Meade LXD75 sn-10 10″ Schmidt-Newtonian on a SkyWatcher EQ6-r equatorial mount. I have upgraded the stock focuser to a Crayford motorized focuser that is controlled with a remote. The price of the focuser was about $380. The addition of a Telrad finder has been very helpful in finding objects within a light polluted sky. A heated anti-dew strip is used as this scope can fog up quickly on both the outside and inside of the corrector lens. The CCD is a Meade DSI II color camera (USB interface) with Autostar suite, and it is being used as an auto-guider. A focal reducer is used often to aid in location and for wide-field views, as the DSI magnifies the image significantly. 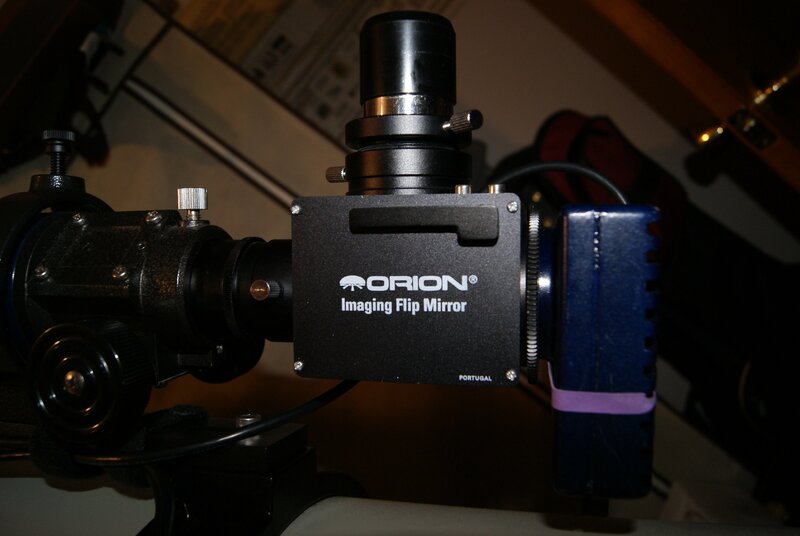 The main camera is a Cannon T3 Rebel: I will be moving to a ZWO CCD soon. Software: Meade AutoStar Suite with Envisage (CCD camera control), APT & Backyard EOS for DSLR control, and focus controller is operated by nFocus and Rigelsys. The secondary telescope is a 1980’s Meade 6600 Newtonian reflector. Equatorial mount with no drive, it is used for quick observing and is also a loaner telescope for anyone at a star party to use. It does indeed have a lot of mileage – but it still works perfectly. It was purchased in 1987 at a Ritz Camera shop at the local Mall. The tripod needs replaced, as it is the legacy wooden one and is becoming unstable. I sometimes do use it on the old Meade LXD75 mount. All images are captured on a HP Elitebook 9480 laptop. Cannon image Pro running IRIS, Corel Paintshop Pro X6 Ultimate. The new setup is coming along well. I have transferred the Meade LXD75 SN-10 OTA to the newer Skywatcher mount. Software includes C2A for driving the mount, and testing with PHD autoguide continues; and I have yet to get PHD to play nice with all of the COMM ports and ASCOM configuration involved. The Celestron C6-A SCT: 1500mm F10. I had decided on this over the iOptron photron 6 for the longer focal length for planetary and lunar imaging, and close-ups of those remote fuzzies. $399 at Highpoint Scientific. 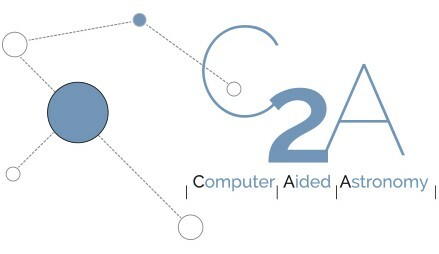 C2A – a fantastic free planetarium software that supports ASCOM. Very robust, it allows importing of many catalogs and it also interfaces with OccultWatcher – a powerful app that tracks occultations of asteroids. PHD2 is being used for autoguiding, and of course ASCOM to connect it all. … and a bunch of power tanks.